Psalm 1 is classified as a “wisdom” psalm. 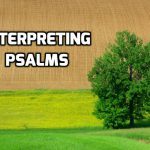 In many ways it functions as an introduction to the book of psalms. 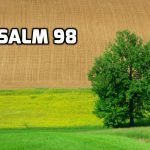 Psalm 98 is a victory or coronation psalm. It has 3 stanzas: 1-3: praise the Lord as savior; 4-6: praise the Lord as King; 7-9: praise the Lord as judge. Psalm 130 is an individual lament and a repentance psalm.